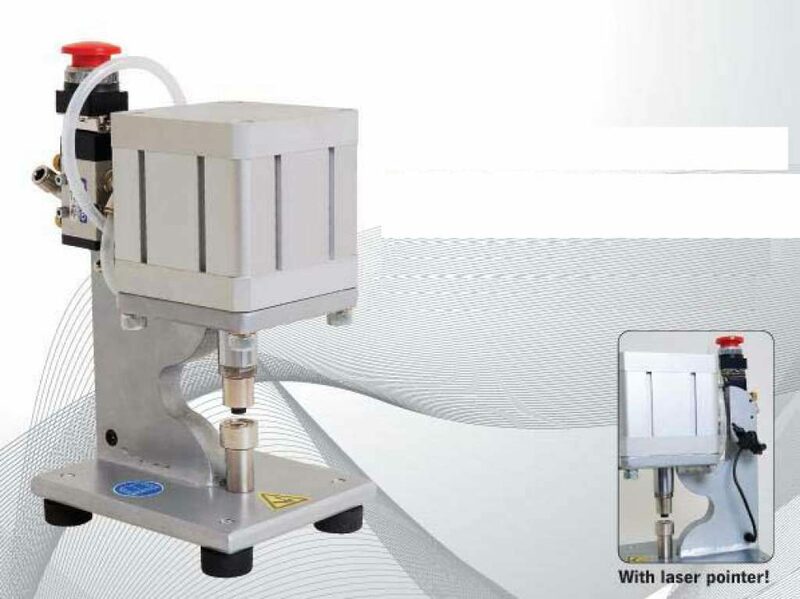 PneuPress forced by air pressure; 3/8″ Die set and Laser dot pointer already mounted, easy punching with a button. After unpacking, you only need air pressure and currency of 220V. 3/8″ Penta Die set is already mounted. With interchangeable Penta grommet die sets, you can apply 4 different sizes of metal grommet dies and plastic grommet die in one machine. If you need the Laser dot Pointer, you also need currency of 220V.